Wow - So Much Space! If you are looking for a modern brick home to raise your family in Coolah, this one is perfect. Our vendors, who built the home six years ago, have been transferred with their employment so this change in circumstances allows us to offer their lovely home in Martin Street for sale. As well has having 4 bedrooms, and two bathrooms, there are three great family areas - the open plan living area including kitchen and dining, a separate rumpus room and the enclosed outdoor verandah. Did we mention the land size of 3,642, sqm? There are separate front and back yards. In the rear fenced yard, there is a solar heated swimming pool, a 6 x 10 M Shed, a Gym Room and three yards for dogs or chooks, and a vegetable patch. There is also two rainwater tanks. The well designed modern kitchen has quality appliances, timber flooring, dishwasher and separate pantry, with great bench space and storage. All bedrooms have built ins, with the main bedroom including an ensuite and walk in robe. Plantation shutters on the windows complete the modern look. Front Verandah faces north, a lovely spot in the winter. Heating and Cooling for the home is provided by the split system airconditioner and fans with gas outlets for extra warmth. There is so much room to run and play and have pets, your family will adore this home. 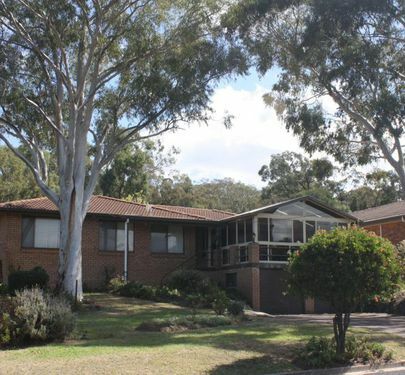 Contact Shelley to inspect this great family home - bring the children with you! 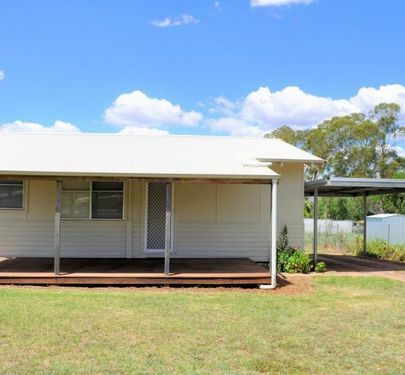 Unique opportunity to purchase two properties in the rural township of Coolah, in Central West New South Wales. Vendors have owned these two properties since 2006 and after some renovations all buildings have been fully tenanted. The Building at 62 Binnia Street is comprised of two shops and one office / flat. The two shops are currently tenanted by a Community Thrift Shop. The rent from this is $866.00 per month. There is an external toilet block with two toilets at the rear of the premises. The Flat/Office comprises two rooms small kitchen in one room and bathroom with toilet in bathroom. Air conditioning to large room. Shops and flat are on separate electrical meters. 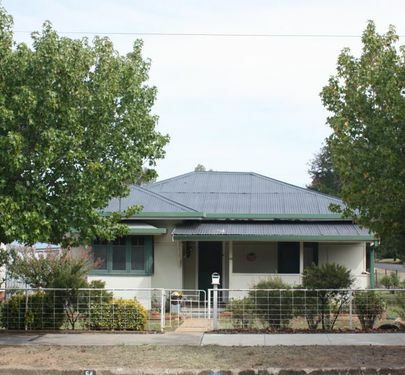 The Building at 64 Binnia Street is a fully renovated large home which has been used as an office and tenanted by Warrumbungle Shire Council Community Care since 2007. Current lease will expire 31.12.2019 and they currently pay $860.00 per month with CPI increase annually and 25% of levied land rates, Water rates and insurance. There is plenty of space in this house and it also features pressed tin ceilings. It is ideally suited for its' current purpose. Attached to this building is a brand new 1 bedroom flat occupied by owners with a potential rental income of $180.00 per week or keep for yourself. A large deck opening from main room gives a view out over the valley. The house and flat are on a large block with extensive gardens and large sheds with further potential for rental if required. The large "Woolshed" is raised off the ground and in excellent condition and is now predominately used for storage but could be easily rented out. Around the woolshed there is ample garage and further storage at ground level. There is combined access by both properties and this driveway also serves as a buffer between properties. The total area is approx. 2 acres in the middle of the main street. The shops (62 Binnia) occupy approx. a quarter of this area and the 2nd property (64 Binnia) includes the house, all the sheds and garden area. The current owners are looking to a lifestyle change and wish to do more travelling so it is time for a downsize. Contact Shelley Piper on 0429771031 if you wish to inspect or have any further questions. Piper Real Estate offers this well located property that has been owned by our vendor for 65 years, regrettably for sale due to ill health. 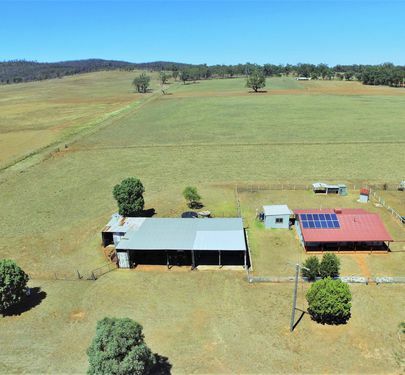 This fabulous small farmlet is on 33 acres, located near the village of Leadville, between Dunedoo and Coolah, and just off the Golden Highway. If it has been your dream to own a property to run a few horses, cows or sheep, this well maintained property may suit you. Mudgee is within an hour’s drive, Dubbo one hour 10 minutes and 4 hours from Sydney, either via the mountains or the Golden Highway. The property is well fenced with Ringlock and Barb, into three paddocks. The land is flat with hill views. The soil is red sandy loams, suitable for grazing or growing all types of fodder crops, cereal grains like oats, wheat or barley, or Lucerne. There are three dams and there is shade timber. The three bedroom home was built 25 year ago. 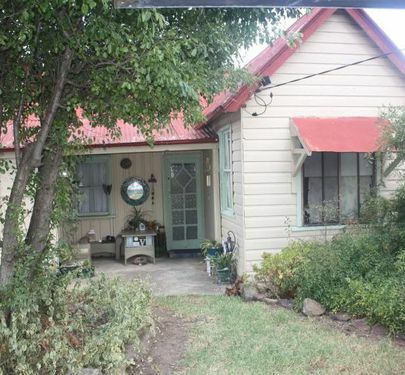 It has a front and back verandah, and a separate sleepout adjoining the house. There are three bedrooms, two with built in robes. Evaporative Cooling for summer, gas heating for winter. The fenced house yard includes garden sheds and chook yards. There is excellent shedding, with a single car garage with concrete floor and power, and a 40x60 foot machinery shed, with 24 x 40 foot workshop with concrete floor. Other storage sheds are attached. Plenty of rainwater tanks are available for the house and solar panels reduce your power bills! The property is for sale, walk in walk out and includes a very tidy workshop full of tools, plus other plant and equipment. Access to the property is a tar road, and there is full mobile service. Although the pictures indicate dry conditions, all we need is rain to make this tidy, much loved property, bloom again. Please contact Shelley Piper on 0429 771 031 for more details or to arrange an inspection. Purchasers note: - 55 acres with 2 building entitlements is for sale adjoining this property, with a different vendor. Please let us know if you would like more details. Large Family Home at the Top of Town! Piper Real Estate Coolah offers this fabulous brick and tile home at the Top of Town in lovely Yule Street. This four bedroom, two bathroom home is on 2,510m2 (two lots). The main bedroom has walk in robe and ensuite. The home has several living areas making it perfect for a family. It has kitchen and dining combined, and two large rooms at the front and the back providing lots of space. Our favourite room is the covered outdoor area which gives views of the valley, which catches the sun and the breeze all year round. There is a two car garage under the house with an automatic door, with steps up to the main house. The large garden has a two bay garage and there is a garden shed with an established garden and trees. This garden is fenced. The home has a rainwater tank and the power bills are reduced by the installed solar panels. The time has come for the owners to downsize and they are regrettably selling the home they built 25 years ago. If you think this home would suit your family, please call Shelley to arrange an inspection. 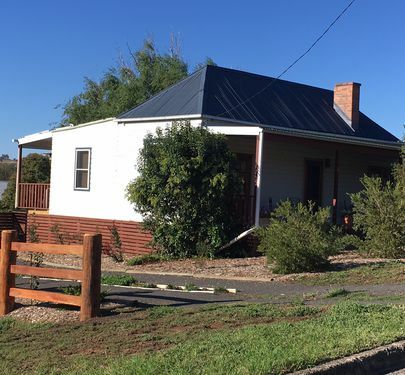 Piper Real Estate Coolah offers this well maintained, much loved cottage behind a classic white picket fence, on a large corner block, in the welcoming central west country town of Binnaway. Olive trees are abundant for the gardening enthusiast, with a commercial style kitchen to cook up a scrumptious creation for family and friends. Or, for the business savvy, perfect for the specialty food or fresh produce field. With ample sheds and storage, and a separate electricity meter (3 phase power), there is plenty of business potential. The charming 2 bedroom cottage boasts high ceilings, ceiling fans, split system air conditioning and wood fireplace providing year round comfort in a spacious modern home. The home features a well appointed functional kitchen, polished floorboards, timber laminate flooring, quality carpet in both bedrooms and the lounge, and has an enclosed verandah providing several living areas to relax and make yourself at home. The main bathroom has a shower over the bath, whilst the laundry also has a 2nd shower & toilet. There is a solar system (8 Panels) to reduce electricity costs. Enjoy your evenings outdoors under the rotunda, with a separate covered bbq area, and a wood fire oven. The rear verandah of the house also provides a lovely setting. Water is a plenty with town water supply, rain water tanks- 9000 litres and a private bore, with water points available if you wish to water the garden and olive trees. Contact Shelley Piper on 0429 771031 if you have any questions or would like to arrange an inspection. 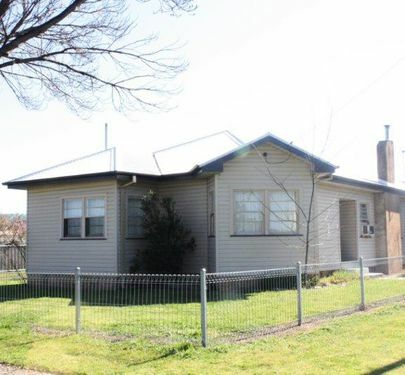 Piper Real Estate Coolah offers this 3 bedroom brick home includes a garage under the main roof. The home is located in a quiet cul-de-sac surrounded by good quality homes. All bedrooms have built ins and the kitchen/dining/living is open plan and tiled throughout, with a split system a/c providing year round comfort. The land size is 1087 sqm and provides enough space to develop more garden or have room for a pet. Includes a rainwater tank. Has previously been rented, providing good returns for the current owner who now has a change of direction. This neat and tidy home, situated in quiet McLean Street, will provide a lovely family home. It has a large open area which includes the kitchen, lounge and dining and is light and airy. The three bedrooms all have built ins, and there is sunroom at the front of the house and a great undercover rear verandah. Situated on a large block with rear lane access, there is plenty of space for the family and for pets. There is a fully enclosed chook or dog yard which could also be used for a veggie patch. There is a double carport and garden shed. Ideal opportunity for a first home buyer or investor. 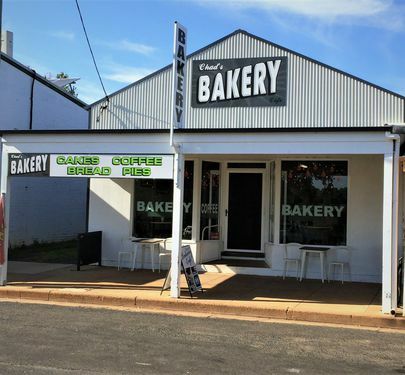 Chad’s Bakery at Dunedoo is situated on the Golden Highway in the centre of this thriving rural town, situated between Merriwa, Mudgee and Dubbo. This is a fabulous business opportunity if you are considering purchasing a successful established business. The Bakery provides a great stopping point on this busy thoroughfare for those travelling west to Dubbo and beyond. The Building has had significant upgrades and has been renovated throughout by the current owners, to ensure it is appealing and they are very proud to welcome back many repeat customers. It includes an attractive area for customers to sit and enjoy their coffee and meals, as well as a food preparation area with stainless steel benches, and a bakers room, 2 store rooms and male and female amenities, and has air conditioning and fans to provide comfort all year round. Our owners have had a change of direction and would prefer to sell the property as a going concern. The owners are happy to include the plant and equipment as inspected, as part of the price. There is ample kerbside parking and parking available at the rear of the building for 2 staff cars. Contact the selling agent at Piper Real Estate, Shelley Piper, on 0429 771 031 or [email protected] for more details. The above information has been furnished to us by the Vendor. We do not accept any responsibility to any person for its accuracy and do no more than pass it on. All interested parties should make and rely upon their own enquiries. 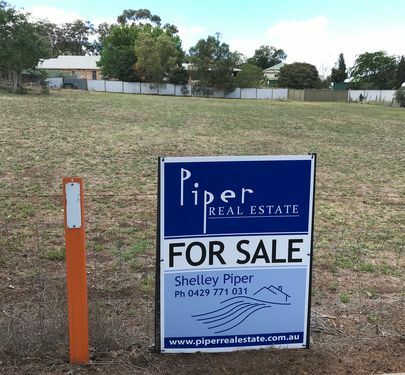 Piper Real Estate Coolah has available almost 55 acres(22.249 ha) on two adjoining parcels of land with two building entitlements near the village of Leadville on Sir Ivan Dougherty Drive, which is located 18km between Dunedoo and Coolah. This fertile small holding has been used to fatten stock (mainly cattle) and would be a great block to build a home and run your livestock or horses for some extra income. 80% of the property has been farmed, power available close by. It has 4 dams and is on the tar road, with school bus availability and close to the Golden Highway. There is also land line and mobile service and garbage collection! Most photos are current with main photo showing last years oat crop. There is 5 acres with another building entitlement is separately fenced and includes a small shed with a bathroom and carport. Neat and Tidy cladded home on corner block. This home has been renovated with a new kitchen and bathroom. It has been painted throughout and has the advantage of newly tiled floors in kitchen, dining and hallway. It has three large bedrooms ( main with bay window ). There is also a rainwater tank and shed. There is a separate well fenced paddock as part of the property giving room for a horse. At 2,020 sqm, two separate lots makes it possible to sell one. Currently tenanted, this property lends itself to an investor with no work to be done, or a great family home. 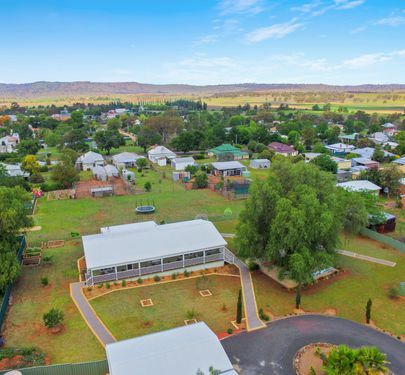 Great views of the Coolah Valley! "Rose Cottage" - Behind the Picket Fence.. Sitting behind a white picket fence with an established garden is this charming three bedroom home situated in quiet Oban Street. This recently painted home features high ceilings with nice decorative cornice work. Both the kitchen and bath have had fresh makeovers to complement the new carpeting. The two main bedrooms are spacious and overlook the front wrap-around verandah and garden. There is also an enclosed rear verandah and a sunny third bedroom. The lounge room has a slow combustion wood fire with double doors through to the extra living area at rear. Great sized block with easy rear access too. Call Shelley to arrange an inspection! 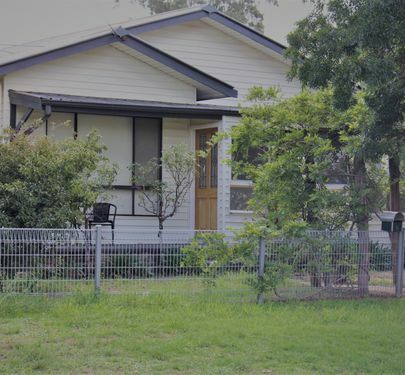 Piper Real Estate Coolah offers this well cared for 3 bedroom home, with office and enclosed verandah, situated in Oban Street. On a large block (1229sqm), it has a double shed and storage shed in the back yard. The yard is fully fenced and provides ample room for kids or pets. There are plenty of places to sit and relax with a front and rear porch, the rear with ramp access. The home has a wood fire, and air conditioning in the lounge room. Easy to maintain, established gardens make it very welcoming. Renovations would add value, however, this would be an ideal first home or suitable for a Tree Change Family. Contact Piper Real Estate to inspect. 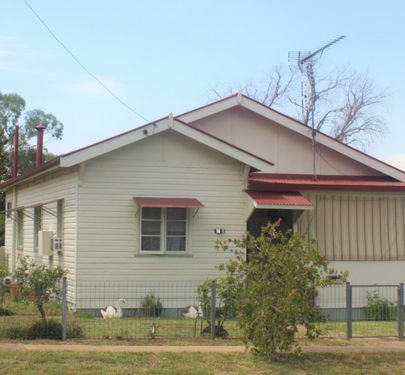 Piper Real Estate Coolah offers this 2 bedroom cottage, with a study or third bedroom, that has been well looked after over the years. The new owner could move straight in or use this home as an investment property. This home has great character with period features jncluding a bay window with coloured glass in the lounge, picture rails, spacious rooms with high ceilings, ceiling roses and great timber doors. A neat established garden on a large, fully fenced 1,837 sqm block with side and rear lane access and a raised vegetable garden. The home has a rainwater tank, separate garage and garden shed, and a north facing verandah to catch that winter sun. Well priced with keen vendors, make a time to view this one! Located in the picturesque village of Cassilis in the Upper Hunter Valley, this charming two bedroom cottage has been carefully renovated to provide the perfect country getaway. This home has a roomy neat kitchen, open plan living including the outdoor deck with plenty of spots inside and out to relax and enjoy the country life. The home has ceiling, wall and floor insulation with floating timber floor in the living areas and freshly carpeted bedrooms. For heating and cooling there is a slow combustion wood heater, split system airconditioner, open fire and ceiling fans. A 6KW Solar system assists with the power bills. Timber is a feature throughout the property, with french doors opening onto the front and rear verandahs. There is beautiful post and rail fencing and a low maintenance garden with garden shed. Our photos don’t do justice to the beautiful views from all windows and the deck. This home is a little gem. Do come to inspect, you will love it! 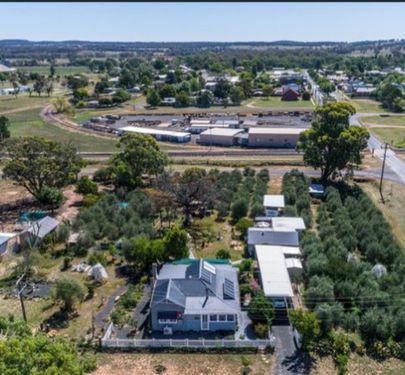 Cassilis is located just off the Golden Highway between Merriwa and Dunedoo, 350 km from Sydney and accessible via Mudgee or the M1 and Hunter Expressway. Cassilis is less than one hour from Mudgee and its popular vineyards, within the vicinity of the Goulburn River National Park and approximately 35-40 minutes from both Merriwa and Coolah. Contact Shelley Piper, at Piper Real Estate, on 0429 771 031 or [email protected] for more details. Available Now - Renovations Done! Piper Real Estate Coolah has available this charming 2 bedroom cottage which has been given a makeover, including painting inside and out, a renovated bathroom and kitchen, and a lovely outdoor deck. Located across the road from the hospital, the property includes a spacious, fully fenced backyard perfect for a pet. This would be a great investment property, or suit a first home buyer or someone wishing to downsize. Looking for a cute cottage with original features? This home has retained the charm of yesteryear with the pressed tin walls, original Metters stove and character cottage shape. The home consists of two bedrooms and a study,and a tidy kitchen and bathroom. There is a carport in the front and in the rear of the property is a garden shed and concrete slab for your future garage. Plenty room for pets. The rear of the block is fenced off and can be accessed from Cox Lane. A long term tenant who is keen to stay makes this a great investment opportunity. The land size is 1857 sqm with rear lane access giving the option of a possible subdivision with Council approval. Great price, great start for someone! 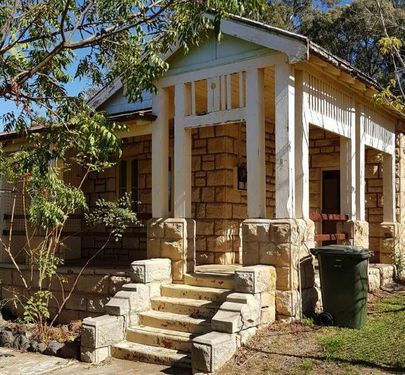 Situated on an elevated corner block with sweeping views of the Coolah Valley, this original sandstone and weatherboard house needs some TLC to restore to its' former glory. 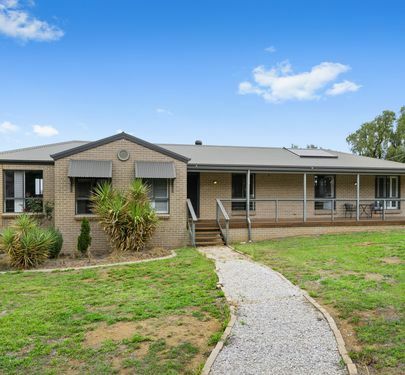 Generous 1260 sqm corner block, a big yard with plenty of room for chooks and vegie patch. Other features include entry hall, high ceilings, original windows and wide floorboards, just waiting to be polished. There is definitely work to be done so bring your enthusiasm and contact Shelley Piper on 0429 771 031 to arrange an inspection. Centre of Town - Walk Everywhere! 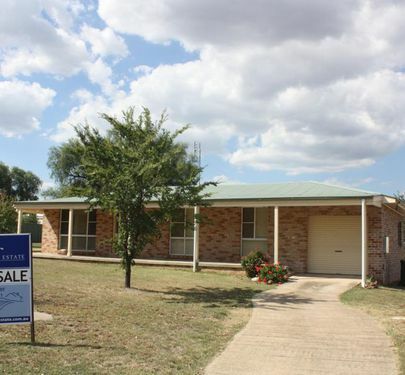 Piper Real Estate Coolah offers this solid brick home in Coolah's main street for sale. 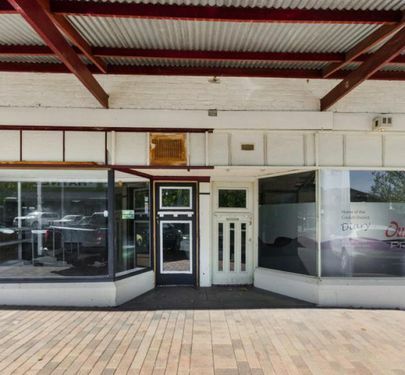 Perfect for an owner occupier or savvy investor who will convert this into 2 separate rental properties or convert it back to a viable commercial building. The main house features 3 bedrooms, large office, several air-conditioners, wood heating and much more. As well as being close to everything, the property has great sheds for storage as well as a double carport. In the large shed, there is a large bedroom with a bathroom, perfect for visitors, the teenager who wants their own space or renting the room out for a little extra cash. The yard is fenced and there is rear lane access. There is also a separate smaller fenced area for pets. Expected rental return is 7.62% on current asking price. 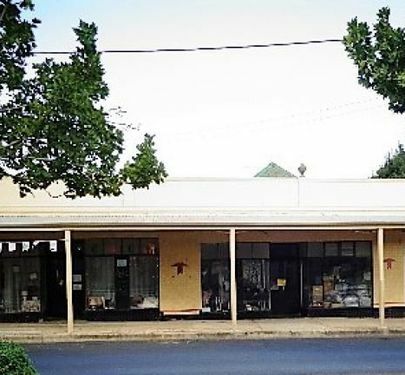 Piper Real Estate Coolah offers these two shops with main street frontage. Shop 1 (48 Binnia St) is a light & airy space with 2 access doors from the main street, timber floating floors, air-conditioning and ceiling fans and a kitchen area with a double sink. There is a large area out the back for storage which also has a sink and toilet. Shop 2 (50 Binnia St) has a large carpeted open area with a roller door on the side, and leads back to a sink area. It has 3 other rooms out the back, and a kitchen and bathroom. Great rental returns and tenants who wish to stay - do the maths! 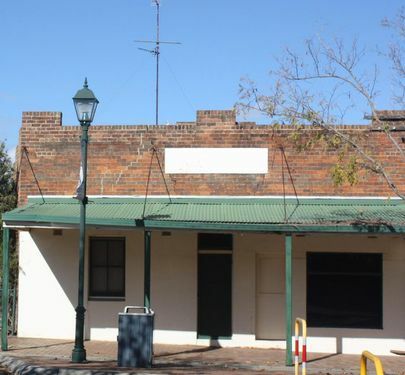 Piper Real Estate offers this unique building in the main street of the lovely town of Coolah. There are several enterprises for the prospective owner. The building is currently leased to the Community Group (Caring for Coolah) as a second hand shop, who would like to remain as tenants. This is a very versatile space with a thriving business that attracts many visitors each day. It had been previously used as a Dance Studio. There is a great timber floor in the main part of the shop. There is a seperate self-contained flat included. With a return of 10% p.a. - this building provides a great opportunity for someone - could it be you? The vendor also owns the next property at 64 Binnia Street. 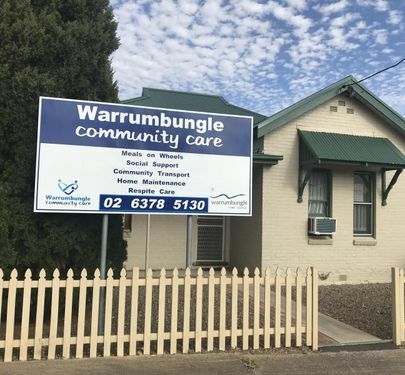 This is used as the offices of Warrumbungle Community Care. There is a long term lease in place. As well as this building, there is a self contained residence, a large block with established garden, shed for storage and carports for several cars. If you would like to consider this property, we could combine the sale at a reduced price. Call Shelley Piper on 0429 771 031 to inspect or talk about the possiblities these properties provide. The information and figures contained in this material is supplied by the vendor and is unverified. Potential Buyers should take all steps necessary to satisfy themselves regarding the information contained herein. 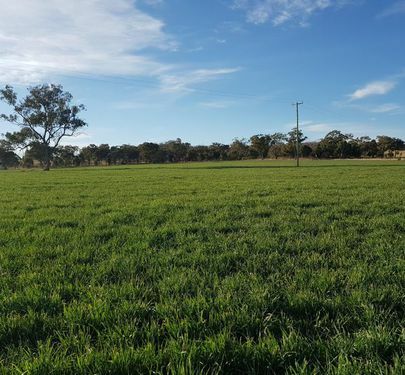 We have available an attractive block of land in Dunedoo which includes a shed. The land is 1,000 m2 (50.4 m x 19.9 m) and is fully fenced. There are several trees at the front of the property to add to the land's appeal. The shed is approximately 12m x 7.5 m. It has three roller doors and a smaller entry door. The floor is concreted and does have pipes available should a purchaser wish to gain approval for a toilet/shower. This level block opposite the Dunedoo School has a lane at the rear of the property with a gate to access the land beside the shed. This property provides great storage and ample room to build a home, should this be your idea. Please phone Shelley Piper on 0429771031 if you would like further information or to arrange an inspection. 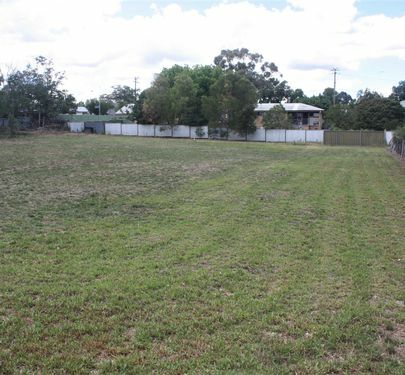 We have available a vacant block of land situated close to the main street in Coolah. This block is 1012 square metres in size, will provide ample room to build a home. 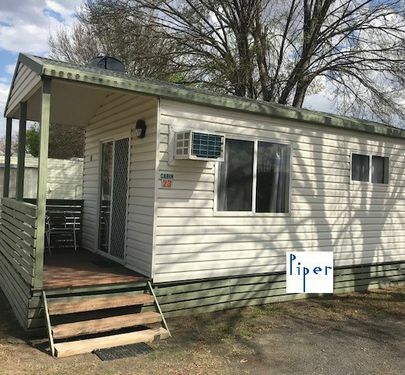 Piper Real Estate Coolah offers this Cabin located at Coolah’s fabulous Home Base Caravan Park. It has a lovely small outdoor deck area with space for a table and two chairs, and the cabin comes furnished and includes Fridge, microwave, TV, oven, air-conditioner, sofa, dining table and chairs and an outdoor setting. If you want a place to call home, but still want to do some travelling, this may be for you. Opportunity to earn income from the cabin whilst you are away. Please be advised that there are certain conditions that have to be met to purchase this property, which can be provided upon request. Contact Shelley Piper to arrange an inspection.